First off, I would like to tell you all what a pleasure it has been working with Jack Be Natural. 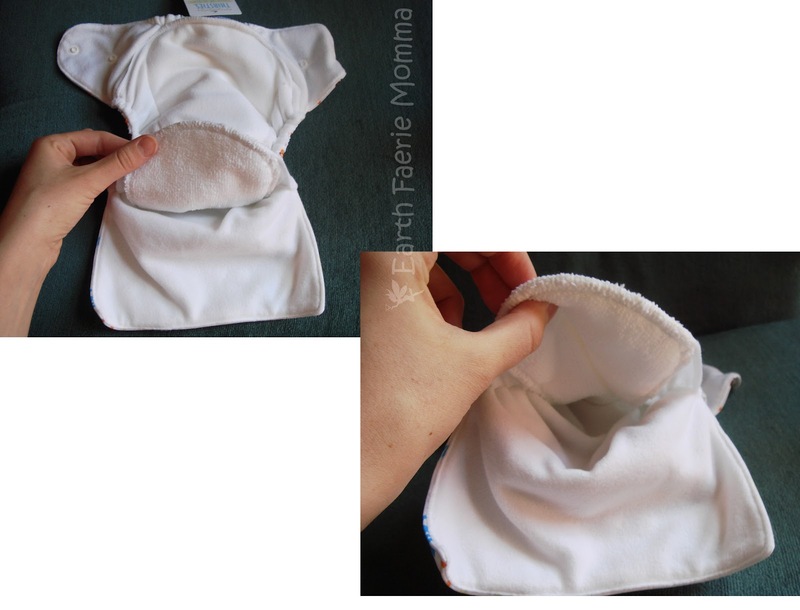 They have provided me with the opportunity to review this great new diaper made by Thirsties. They even sent me a cute little napsack and a sample of their crunchy clean laundry detergent, scented with essential oils. It made the whole package smell wonderful! That isn't even the best part. It came in a poly mailer that is 100% biodegradable and they offer free shipping with most of their items! Initially, I heard about Jack Be Natural from someone on a cloth diaper forum, who is a customer of theirs. She created a post just to explain what a great experience she had with their customer service. I knew immediately that it was a company that I wanted to work with. So, I contacted Jack Be Natural and asked them to sponsor this review and giveaway. They agreed and sent this Thirsties Duo All-In-One. In 2010 Stacy Shinas began Jack Be Natural after having her second child. She and her husband John now sell products from 11 different manufacturers. They created this company to share their knowledge on natural products. Read their whole story here. At Jack Be Natural you will find a wide array of items. Not only will you find the latest and greatest fluff, you will find detergent, toys, clothes, baby gear, and even goodies for mom. If you are new to natural, then you can read the many helpful articles and can even watch video tutorials. If your bun is still in the oven, you can create a baby registry. Plus, you get $1 with every $15 you spend with Jack’s Cash Rewards Program as well as a free sample with every purchase. I have to say…I am impressed. The next diaper purchase I make will surely be from Jack Be Natural. Now on to the diaper review! Let's start with the basic information about the Thirsties Duo All-In-One. This new all in one (AIO) diaper features Thirsties signature tunnel design. There is elastic around the legs and waist. The outside is waterproof. It is made of 100% polyester with a waterproof urethane coating. The soaker is microfleece with 3 layers of microfiber terry. Thirsties Duo All-In-One diapers are made in the U.S.A. The tunnel design is great. Only the sides of the soaker are sewn into the shell, leaving a tunnel. It helps with drying time and provides a convenient place to put an extra insert or soaker that does not need to be removed prior to washing. Since there are two sizes, the diaper is very trim. There are still 3 rise settings for each diaper so you can really customize the fit. 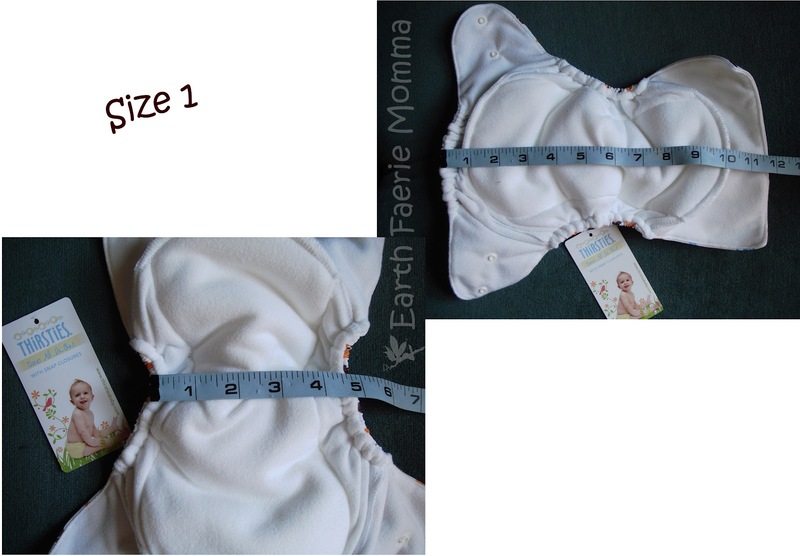 Size one would be great for newborns! One size diapers are so bulky at that stage. I would have loved to have these for both of our sons. Our youngest grew out of his newborn diapers in a month! Vallon here is 11 weeks old and about 13 lbs. Quite the little chunker. He is wearing a size one. I used the second rise setting for him. It fits nice and snug around his legs. I chose to try the snaps. I like how the snaps are side by side. I found them very easy to use from the get go. I love the colors and patterns! As you can see, I chose the very popular "hoot" print. There are 9 solids and 4 prints to choose from. Thirsties Duo All-In-One is affordable for an AIO diaper. Solid patterns are $15.75 and prints are $16.75. You can get them with free shipping from Jack Be Natural. I love these diapers and there isn’t much I would change about them. I am a fan of natural fiber and would love to see more cotton and bamboo in the Thirsties product line in the future. The microfiber in the Thirsties Duo All-In-One’s is very absorbent and soft. I think the fabric they used works perfect for this design. In conclusion, I am very happy with the Thirsties Duo All-In-One. It washes and dries nicely. It takes longer then a pocket diaper to dry but is still moderately quick for an AIO. It is trim and we haven’t had any leaks. I would love to have more of them! I think these diapers would work very well with a hemp babies trim doubler, which you can also find at Jack Be Natural. One Lucky Earth Faerie Momma reader will win a Thirsties Duo All-In-One from JackBe Natural, in the size, color and closure of their choice! Use the Rafflecopter form below to enter. Winner will be chosen within 24 hours of giveaway ending, will be contacted by email and will have 48 hours to respond and confirm or an alternate will be chosen.